St Gatianus' Roman Catholic Cathedral in Tours. Saint Hugon in Arvillard, Savoie, is a former charterhouse (Carthusian monastery) turned into a monastery of the Tibetan schools of Buddhism (Karma Ling). Religion in France is diverse under secular principles. It can attribute its diversity to the country's adherence to freedom of religion and freedom of thought, as guaranteed by the 1789 Declaration of the Rights of Man and of the Citizen. The Republic is based on the principle of laïcité (or "freedom of conscience") enforced by the 1880s Jules Ferry laws and the 1905 French law on the Separation of the Churches and the State. Catholicism, the religion of a now small majority of French people, is no longer the state religion that it was before the French Revolution, as well as throughout several non-republican regimes of the 19th century (the Restoration, the July Monarchy and the Second French Empire). Major religions practised in France include the Christianity (include Catholics, various branches of Protestantism, Orthodoxy, Armenian Christianity), Islam, Judaism, Buddhism, Hinduism, and Sikhism amongst others, making it a multiconfessional country. Sunday mass attendance has fallen to 5% for the Catholics, and the overall level of observance is considerably lower than was the past. According to a Eurobarometer survey conducted in 2010, 27% of French citizens responded that they "believe there is a God", 27% answered that they "believe there is some sort of spirit or life force", and 40% answered that they "do not believe there is any sort of spirit, God, or life force". This makes France one of the most irreligious countries in the world. Note these are from different sources with perhaps different methodologies. 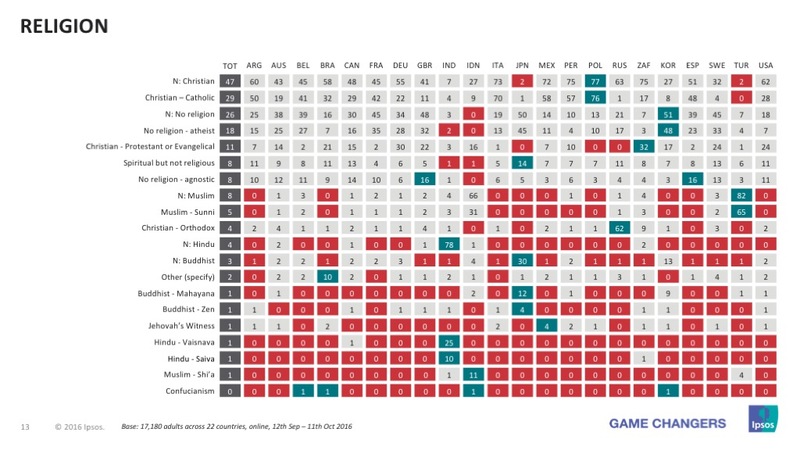 In 2015 the Eurobarometer, a survey funded by the European Union, found that Christianity was the religion of 54.3% of the respondents, with Catholicism being the main denomination with 47.8%, followed by other Christians with 4.1%, Protestants with 1.8% and the Eastern Orthodox with 0.6%. Muslims were found to comprise the 3.3%, Jews were the 0.4% and members of other religions were the 1.6%. Unaffiliated people were the 40.4%, 22.8% declared to be atheist and 17.6% declared to be agnostic. According to the European Value Survey, between 2010 and 2012, 47% of french youth declared themselves as Christians, while according to IFOP study, based on a sample of 406, around 52% of 11 to 15 years declared themselves as Catholics, and according to CSA poll, around 65.4% of 18 to 24 year-old French declared themselves as Christians. A 2010 Pew Research Center survey found that 60% of French (7 millions) between the ages of 15 to 29 identified themselves as Christians. In 2018, a study by the French polling agency OpinionWay funded by three catholic institutions found, based on a sample of 1.000, that 41% of 18 to 30 years old Frenchmen declared themselves as Catholics, 3% as Protestants, 8% as Muslim, 1% were Buddhists, 1% were Jews and 3% were affiliated with other religions, 43% regarded themselves as unaffiliated. Regarding their belief of God, 52% believed that the existence of God to be certain or probable, whilst 28% believed it to be improbable and 19% regarded it as excluded. In the same year, according to a study jointly conducted by London's St Mary's University's Benedict XVI Centre for Religion and Society and the Institut Catholique de Paris, and based on data from the European Social Survey 2014–2016, collected on a sample of 600, among 16 to 29 years-old Frenchmen 25% were Christians (23% Catholic and 2% Protestant), 10% were Muslims, 1% were of other religions, and 64% were not religious. The data was obtained from two questions, one asking "Do you consider yourself as belonging to any particular religion or denomination?" to the full sample and the other one asking "Which one?" to the sample who replied with "Yes". Catholicism is the largest religion in France. During the pre-1789 Ancien Régime, France was traditionally considered the Church's eldest daughter, and the King of France always maintained close links to the Pope. However, the "Gallicanism" policy meant that the king selected bishops. A strong Protestant population resided in France, primarily of Reformed confession. It was persecuted by the state for most of the time, with temporary periods of relative toleration. These wars continued throughout the 16th century, with the 1572 St. Bartholomew's Day massacre as its apex, until the 1598 Edict of Nantes issued by Henry IV. For the first time, Huguenots were considered by the state as more than mere heretics. The Edict of Nantes thus opened a path for secularism and tolerance. In offering general freedom of conscience to individuals, the edict offered many specific concessions to the Protestants, for instance, amnesty and the reinstatement of their civil rights, including the right to work in any field or for the State and to bring grievances directly to the king. Expanse of Protestantism in France during the 16th century. Purple: Huguenot-controlled domains; purple-lavender: territories contested by Huguenot and Catholic factions; blue-lavender: domains with a large Lutheran population, then in the Holy Roman Empire of the German Nation. The 1598 Edict also granted the Protestants fifty places of safety (places de sûreté), which were military strongholds such as La Rochelle for which the king paid 180,000 écus a year, along with a further 150 emergency forts (places de refuge), to be maintained at the Huguenots' own expense. Such an innovative act of toleration stood virtually alone in a Europe (except for the Polish-Lithuanian Commonwealth) where standard practice forced the subjects of a ruler to follow whatever religion that the ruler formally adopted – the application of the principle of cuius regio, eius religio. Religious conflicts resumed in the end of the 17th century, when Louis XIV, the "Sun King", initiated the persecution of Huguenots by introducing the dragonnades in 1681. This wave of violence intimidated the Protestants into converting to Catholicism. He made the policy official with the 1685 revocation of the Edict of Nantes. As a result, a large number of Protestants – estimates range from 200,000 to 500,000 – left France during the following two decades, seeking asylum in England, the United Provinces, Denmark, in the Protestant states of the Holy Roman Empire (Hesse, Brandenburg-Prussia, etc. 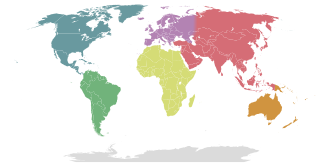 ), and European colonies in North America and South Africa. 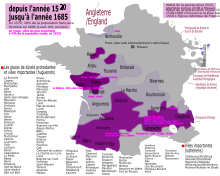 The 1685 revocation of the Edict of Nantes created a state of affairs in France similar to that of virtually every other European country of the period, where only the majority state religion was tolerated. The experiment of religious toleration in Europe was effectively ended for the time being. In practice, the revocation caused France to suffer a brain drain, as it lost a large number of skilled craftsmen, including key designers such as Daniel Marot. The French Revolution stripped the Catholic Church of most of its wealth, its power and influence. The early revolutionaries sought to secularize all of French society, an effort inspired by the writings and philosophy of Voltaire. In August 1789, the new National Assembly abolished tithes, the mandatory 10% tax paid to the Catholic Church. In November 1789, they voted to expropriate the vast wealth of the Church in endowments, lands and buildings. In 1790, the Assembly abolished monastic religious orders. Statues and saints were rejected in a burst of iconoclasm, and most religious instruction ended. The Civil Constitution of the Clergy of 1790, put the Catholic Church under state control. It required priests and bishops to be elected by French people, which usurped the traditional authority of the Church. The Republic legalized divorce and transferred the powers of birth, death, and marriage registration to the state. The Catholic clergy was persecuted by the commune of Paris and by some of the representatives on mission. Most notably, Jean-Baptiste Carrier conducted large-scale drownings of priests and nuns in the river Loire. In 1793, the government established a secular Republican calendar to erase memory of Sundays, saint days and religious holidays, and to increase the number of working days by instituting a 10 days week. Traditionally, every seventh day – Sunday – was a day of rest, together with numerous other days for celebration and relaxation. The government tried to end all that; the new calendar only allowed one day in 10 for relaxation. Workers and peasants felt cheated and overworked. The new system disrupted daily routines, reduced work-free days and ended favorite celebrations. When the reformers were overthrown or executed, their radical new calendar was quickly abandoned. Religious minorities—Protestants and Jews—were granted full civil and political rights, which represented a shift towards a more secular government to some, and an attack on the Catholic Church to others. New religions and philosophies were allowed to compete with Catholicism. The introduction of the prominent cults during the revolutionary period – the Cult of Reason and the Cult of the Supreme Being – responded to the belief that religion and politics should be seamlessly fused together. This is a shift from the original Enlightenment ideals of the Revolution that advocated for a secular government with tolerance for various religious beliefs. While Maximilien Robespierre favored a religious foundation to the Republic, he maintained a hard stance against Catholicism because of its association with corruption and the counterrevolution. The cults sought to erase the old ways of religion by closing churches, confiscating church bells, and implementing a new Republican Calendar that excluded any days for religious practice. Many churches were converted into Temples of Reason. The Cult of Reason was first to de-emphasize the existence of God, and instead focus on deism, featuring not the sacred, divine, nor eternal, but the natural, earthy, and temporal existence. To tie the church and the state together, the cults transformed traditional religious ideology into politics. The Cult of the Supreme Being used religion as political leverage. Robespierre accused political opponents as hiding behind God and using religion to justify their oppositional stance against the Revolution. It was a shift in ideology that allowed for the cult to use the new deistic beliefs for political momentum. Following the Thermidorian Reaction the persecutions of Catholic clergy ceased and the role of new cults practically ended. Standard of the deistic Cult of the Supreme Being, one of the proposed state religions to replace Christianity in revolutionary France. Project for the never-built Métropole, which was to be the main church of the Cult of the Supreme Being. Many Catholic churches were turned into Temples of Reason during the Revolution, as recalled by this inscription on a church in Ivry-la-Bataille. The Cult of Reason was an atheistic alternative to the deistic Cult of the Supreme Being. The Catholic Church was badly hurt by the Revolution. By 1800 it was poor, dilapidated and disorganized, with a depleted and aging clergy. The younger generation had received little religious instruction, and was unfamiliar with traditional worship. However, in response to the external pressures of foreign wars, religious fervor was strong, especially among women. Napoleon took control by 1800 and realized that religious divisiveness had to be minimized to unite France. The Concordat of 1801 was an agreement between Napoleon and Pope Pius VII, signed in July 1801 that remained in effect until 1905. It sought national reconciliation between revolutionaries and Catholics and solidified the Roman Catholic Church as the majority church of France, with most of its civil status restored. The hostility of devout Catholics against the state had then largely been resolved. It did not restore the vast church lands and endowments that had been seized upon during the revolution and sold off. Catholic clergy returned from exile, or from hiding, and resumed their traditional positions in their traditional churches. Very few parishes continued to employ the priests who had accepted the Civil Constitution of the Clergy of the Revolutionary regime. While the Concordat restored much power to the papacy, the balance of church-state relations tilted firmly in Napoleon's favour. He selected the bishops and supervised church finances. With the Bourbon Restoration and the Catholic Church again became the state religion of France. Other religion was tolerated, but Catholicism was favored financially and politically. Its lands and financial endowments were not returned, but now the government paid salaries and maintenance costs for normal church activities. The bishops had regained control of Catholic affairs. The aristocracy before the Revolution did not place a high priority on religious doctrine or practice, the decades of exile created an alliance of throne and altar. The royalists who returned were much more devout, and much more aware of their need for a close alliance with the Church. They had discarded fashionable skepticism and now promoted the wave of Catholic religiosity that was sweeping Europe, with a new regard to the Virgin Mary, the Saints, and popular religious rituals such as saying the rosary. Devotionalism and was far stronger in rural areas, and much less noticeable in Paris and the other cities. The population of 32 million included about 680,000 Protestants, and 60,000 Jews. They were tolerated. Anti-clericalism of the sort promoted by the Enlightenment and writers such as Voltaire had not disappeared, but it was in recession. Napoleon III was a strong supporter of Catholic interest, such as financing, and support for Catholic missionaries in the emerging French Empire. His primary goal was conciliation of all the religious and anti-religious interests in France, to avoid the furious hatreds and battles that took place during the revolution, and that would reappear after he left office. In foreign policy, he was the leading supporter of the Pope, especially against the anti-clerical Kingdom of Italy that emerged in 1860, took control of parts of the papal states, and sought to take complete control of Rome. The French army prevented that. In Paris, the Emperor was supported the conservative Gallican bishops to minimize the people role inside France, in the liberal Catholic intellectuals who wanted to use the Church as an instrument of reform. Problem came with Pope Pius IX who reigned 1846 to 1878. He began as a liberal, but suddenly in the 1860s became the leading champion of reactionary politics in Europe, in opposition to all forms of modern liberalism. He demanded complete autonomy for the church and religious and educational affairs, and had the First Vatican Council (1869–70) decree papal infallibility. Napoleon III was too committed in foreign-policy to the support of Rome to break with the Pope, but that alliance seriously weakened him at home. When he declared war on Prussia in 1870, he brought his army home, and the kingdom of Italy swallowed up the papal domains and the Pope became the prisoner of the Vatican. Vatican statements attacking progress, industrialization, capitalism, socialism, and virtually every new idea not only angered the liberal and conservative Catholic elements in France, but energized the secular liberals (including many professionals) and anti-clerical socialist movement; they escalated their attacks on church schools. When Leo XIII became pope in 1878, he tried to calm Church-State relations. In 1884, he told French bishops not to act in a hostile manner toward the State ('Nobilissima Gallorum Gens'). In 1892, he issued an encyclical advising French Catholics to rally to the Republic and defend the Church by participating in republican politics ('Au milieu des sollicitudes'). This attempt at improving the relationship failed. Deep-rooted suspicions remained on both sides and were inflamed by the Dreyfus Affair (1894–1906). Catholics were for the most part anti-Dreyfusard. The Assumptionists published anti-Semitic and anti-republican articles in their journal La Croix. This infuriated republican politicians, who were eager to take revenge. Often they worked in alliance with Masonic lodges. The Waldeck-Rousseau Ministry (1899–1902) and the Combes Ministry (1902–05) fought with the Vatican over the appointment of bishops. Chaplains were removed from naval and military hospitals in the years 1903 and 1904, and soldiers were ordered not to frequent Catholic clubs in 1904. Emile Combes, when elected Prime Minister in 1902, was determined to defeat Catholicism thoroughly. After only a short while in office, he closed down all parochial schools in France. Then he had parliament reject authorisation of all religious orders. This meant that all fifty-four orders in France were dissolved and about 20,000 members immediately left France, many for Spain. The Combes government worked with Masonic lodges to create a secret surveillance of all army officers to make sure that devout Catholics would not be promoted. Exposed as the Affaire Des Fiches, the scandal undermined support for the Combes government, and he resigned. It also undermined morale in the army, as officers realized that hostile spies examining their private lives were more important to their careers than their own professional accomplishments. Radicals (as they called themselves) achieved their main goals in 1905: they repealed Napoleon's 1801 Concordat. Church and State were finally separated. All Church property was confiscated. Religious personnel were no longer paid by the State. Public worship was given over to associations of Catholic laymen who controlled access to churches. However, in practice, masses and rituals continued to be performed. A 1905 law instituted the separation of Church and State and prohibited the government from recognising, salarying, or subsidising any religion. The 1926 Briand-Ceretti Agreement subsequently restored for a while a formal role for the state in the appointment of Catholic bishops, but evidence for its exercise is not easily obtained. Prior to 1905, the 1801–1808 Concordat compelled the State to support the Catholic Church, the Lutheran Church, the Calvinist Church, and the Jewish religion, and to fund public religious education in those established religions. For historical reasons, this situation is still current in Alsace-Moselle, which was a German region in 1905 and only joined France again in 1918. Alsace-Moselle maintains a local law of pre-1918 statutes which include the Concordat: the national government salaries as state civil servants the clergy of the Catholic diocese of Metz and of Strasbourg, of the Lutheran Protestant Church of Augsburg Confession of Alsace and Lorraine, of the Protestant Reformed Church of Alsace and Lorraine, and of the three regional Israelite consistories, and it provides for now non-compulsory religious education in those religions in public schools and universities. For also historical reasons, Catholic priests in French Guiana are civil servants of the local government. Religious buildings built prior to 1905 at taxpayers' expense are retained by the local or national government, and may be used at no expense by religious organisations. As a consequence, most Catholic churches, Protestant temples, and Jewish synagogues are owned and maintained by the government. The government, since 1905, has been prohibited from funding any post-1905 religious edifice, and thus religions must build and support all newer religious buildings at their own expense. Some local governments de facto subsidise prayer rooms as part of greater "cultural associations". An ongoing topic of controversy is whether the separation of Church and State should be weakened so that the government would be able to subsidise Muslim prayer rooms and the formation of imams. Advocates of such measures, such as Nicolas Sarkozy at times, declare that they would encourage the Muslim population to better integrate into the fabric of French society. Opponents contend that the state should not fund religions. Furthermore, the state ban on wearing conspicuous religious symbols, such as the Islamic female headscarf, in public schools has alienated some French Muslims, provoked minor street protests and drawn some international criticism. In the late 1950s after the close of the Algerian war, hundreds of thousands of Muslims, including some who had supported France (Harkis), settled permanently to France. They went to the larger cities where they lived in subsidized public housing, and suffered very high unemployment rates. In October 2005, the predominantly Arab-immigrant suburbs of Paris, Lyon, Lille, and other French cities erupted in riots by socially alienated teenagers, many of them second- or third-generation immigrants. For the next three convulsive weeks, riots spread from suburb to suburb, affecting more than three hundred towns....Nine thousand vehicles were torched, hundreds of public and commercial buildings destroyed, four thousand rioters arrested, and 125 police officers wounded. Traditional interpretations say these race riots were spurred by radical Muslims or unemployed youth. Another view states that the riots reflected broader problem of racism and police violence in France. In March 2012, a Muslim radical named Mohammed Merah shot three French soldiers and four Jewish citizens, including children in Toulouse and Montauban. So as France grieves, it is also faced with profound questions about its future: How large is the radicalized part of the country's Muslim population, the largest in Europe? How deep is the rift between France's values of secularism, of individual, sexual and religious freedom, of freedom of the press and the freedom to shock, and a growing Muslim conservatism that rejects many of these values in the name of religion? As of the 2000s Buddhism in France was estimated to have between 1 million (Ministry of the Interior) strict adherents and 5 million people influenced by Buddhist doctrines, very large numbers for a Western country. Many French Buddhists do not consider themselves "religious". According to scholar Dennis Gira, who was the director of the Institute of Science and Theology of Religions of Paris, Buddhism in France has a missionary nature and is undergoing a process of "inculturation" that may represent a new turning of the "Wheel of the Dharma", similar to those that it underwent in China and Japan, from which a new incarnation of the doctrine — a "French Buddhism" — will possibly arise. In 2012, the European headquarters of the Fo Guang Shan monastic order opened in France, near Paris. It was the largest Buddhist temple in Europe at that time. Lerab Ling in Roqueredonde, Hérault. Dashang Kagyu Ling in La Boulaye, Saône-et-Loire. Monks praying at a stupa at Dhagpo Kagyu Ling in Saint-Léon-sur-Vézère, Dordogne. Catholic and Lutheran simultaneum (mixed church) in Hunawihr, Haut-Rhin. Christianity is the largest religion of France. According to a survey held by Institut français d'opinion publique (Ifop) for the Institut Montaigne think-tank, 51.1% of the total population of France was Christian in 2016. The following year, a survey by Ipsos focused on Protestants and based on 31,155 interviews found that 57.5% of the total population of France declared to be Catholic and 3.1% declared to be Protestant. In 2016, Ipsos Global Trends, a multi-nation survey held by Ipsos and based on approximately 1,000 interviews, found that Christianity is the religion of 45% of the working-age, internet connected population of France; 42% stated they were Catholic, 2% stated that they were Protestants, and 1% declared to belong to any Orthodox church. In 2015 the Eurobarometer, a survey funded by the European Union, found that Christianity was the religion of 54.3% of the French, with Catholicism being the main denomination with 47.8%. Saint Éliphe Church in Rampillon, Seine-et-Marne. Early Christianity was already present among the Gauls by the 2nd century; Irenaeus, bishop of Lugdunum (Lyon), detailed the deaths of ninety-year-old bishop Pothinus and other martyrs during the persecution in Lyon which took place in 177. The Gaulish church was soon established in communion with the bishop of Rome. With the Migration Period of the Germanic peoples, the Gauls were invaded by the Franks, who at first practised Frankish paganism. Their tribes were unified into a kingdom, which came to be called France, by Clovis I. He was proclaimed the king of the Franks in 509, after having been baptised in 496 by Remigius, bishop of Reims. Roman Catholicism was made the state religion of France. This made the Franks the only Germanic people who directly converted from their paganism to Roman Catholicism without first embracing Arianism, which was the first religion of choice among Germanic peoples in the Migration Period. In 800, Pope Leo III crowned Charlemagne as the emperor of the Holy Roman Empire, forming the unified political and religious foundation of Christendom, medieval European Christian civilisation, and establishing in earnest France's long historical association with the Catholic Church, for which it was known as the "eldest daughter of the church" throughout the Middle Ages. 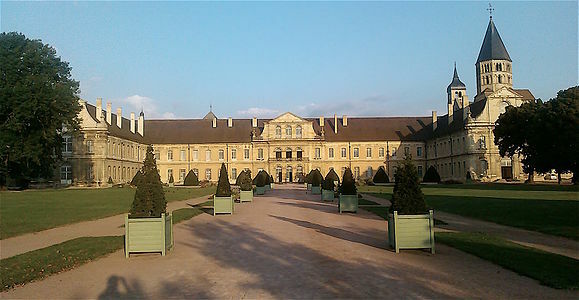 The French Revolution (1789–1790), which resulted in the establishment of the French First Republic (1792–1804), involved a heavy persecution of the Catholic Church, within a policy of dechristianisation, which led to the destruction of many churches, religious orders and artworks, including the very influential Cluny Abbey. During the First French Empire (1804–1814), the Bourbon Restoration (1814–1830) and the following July Monarchy (1830–1848), Roman Catholicism was made again the state religion, and maintained its role as the de facto majority religion during the Second French Republic (1848–1852) and the Second French Empire (1852–1870). Laïcité (secularism), absolute neutrality of the state with respect to religious doctrines, was first established during the Third French Republic (1870–1940), codified with the 1905 Law on the Separation of Church and State, and remains the official policy of the contemporary French republic. In a 2016 study sponsored by two Catholic newspapers, the scholars Cleuziou and Cibois estimated that Catholics represented 53.8% of the French population. According to the same study, 23.5% were engaged Catholics and 17% were practising Catholics. The following year, in a survey focused on Protestantism, 57.5% of a sample of 31,155 people declared to be Catholic. The Reims Cathedral, built on the site where Clovis I was baptised by Remigius, functioned as the site for the coronation of the Kings of France. Interior of the Basilica of Saint Denis in Paris, prototype of Gothic architecture. The Cluny Abbey in Saône-et-Loire, former centre of the Benedectine Order. During the French Revolution it was largely destroyed and only approximately one-tenth (the tower on the right) remains of the original building, which was the largest church building in medieval Europe, surpassed only by St. Peter's Basilica in the 17th century. The former Royal Abbey of Our Lady of Fontevraud in Maine-et-Loire, now Centre Culturel de l'Ouest. According to a survey by Ifop, in 2012 770 people out of the 37,743 interviewed (or 2.1%) declared to be Protestants of various types. About 42% of them were Calvinists (Huguenots), 21% were evangelical Protestants, 17% were Lutherans and another 20% were affiliated with other Protestant churches. The percentage rose to 3.1% in 2017, mainly due to recent conversions. Out of 100% of people that have become Protestants, 67% were Catholic and 27% were of no religion. In a study regarding the various religions of France, based on 51 surveys held by the Ifop in the period 2011-2014, so based on a sample of 51.770 interviewed, there were 17.4% of Protestants in the Bas-Rhin, 7.3% in the Haut-Rhin, 7.2% in the Gard, 6.8% in the Drôme and 4.2% in the Ardèche. In the other departments this presence is residual, with, for example, only 0.5% in Côte-d'Or and in the Côtes-d'Armor. Anglican church in Nice, Alpes-Maritimes. Lutheran church of Rothau, Bas-Rhin. Calvinist Temple Saint-Étienne in Mulhouse, Haut-Rhin. Lutheran church of Sarreguemines, Moselle. Lutheran church of Wangen, Bas-Rhin. Domes of the Holy Trinity Cathedral of the Russian Orthodox Church in Paris. The Eastern Orthodox Church in France is represented by several communities and ecclesiastical jurisdictions. Traditionally, Eastern Orthodox Christians in France are mainly ethnic Greeks, Russians, Romanians, Bulgarians, Serbs and Georgians, but there are also some ethnic French converts to Eastern Orthodoxy. Different Eastern Orthodox churches have separate jurisdictions and organisations in France, the oldest among them being the Greek Orthodox Metropolis of France under the Ecumenical Patriarchate of Constantinople. Oriental Orthodox Christianity in France is represented by several communities and ecclesiastical jurisdictions. Traditionally, Oriental Orthodox Christians in France are mainly ethnic Armenians, Copts, Ethiopians and Syriacs, but there are also French converts. The largest Oriental Orthodox church in France is the French Coptic Orthodox Church. Mormon meetinghouse in Gex, Ain. Other Christian groups in France include the Jehovah's Witnesses, the Church of Jesus Christ of Latter-day Saints, and other small sects. The European Court on Human Rights reckoned 249,918 "regular and occasional" Jehovah's Witnesses in France and according to their official website, there are 128,759 ministers who teach the Bible in the country. A 2016 survey held by Institut Montaigne and Ifop found that 6.6% of the French population had an Islamic background, while 5.6% declared they were Muslims by faith. According to the same survey, 84.9% of the French people who had an Islamic background were still Muslims, 3.4% were Christians, 10.0% were not religious and 1.3% belonged to other religions. In the same year, Ipsos found that just 2% of the working-age, internet connected French declared they were Muslims. Omar ibn Al Khattab Mosque in Saint-Martin-d'Hères, Isère. In 2016, 0.8% of the total population of France, or about 535.000 people, were religious Jews. There has been a Jewish presence in France since at least the early Middle Ages. France was a center of Jewish learning in the Middle Ages, but persecution increased as the Middle Ages wore on, including multiple expulsions and returns. During the late 18th-century French Revolution, France was the first country in Europe to emancipate its Jewish population. Antisemitism persisted despite legal equality, as expressed in the Dreyfus affair of the late 19th century. During World War II, the Vichy government collaborated with Nazi occupiers to deport numerous French and foreign Jewish refugees to concentration camps. 75% of the Jewish population in France nonetheless survived the Holocaust. The majority of French Jews in the 21st century are Sephardi and Mizrahi North African Jews, many of whom (or their parents) emigrated since the late 20th century from former French colonies of North Africa after those countries became independent. They migrated to France beginning in the late 20th century. They span a range of religious affiliations, from the ultra-Orthodox Haredi communities to the large segment of Jews who are entirely secular and who commonly marry outside the Jewish community. Heightening of the Torah in front of the centre of the Liberal Jewish Movement of France in Paris. Gwenc'hlan Le Scouëzec, Grand Druid of Brittany and France from 1980 to 2008. Paganism, in the sense of contemporary Neopaganism, in France has been described as twofold, on one side represented by ethnically identitary religious movements and on the other side by a variety of witchcraft and shamanic traditions without ethnic connotations. According to the French historian of ideas and far-right ideologies Stéphane François, the term "pagan" (Latin paganus), used by Christians to define those who maintained polytheistic religions, originally meant "countryman" in the sense of "citizen", the "insiders" (inside the cultural tradition or citizenry), and its opposite term was "alien" (Latin alienus), the "others", the "outsiders", which defined Christians. Modern French Pagans of the identitary movements hearken back to this meaning. Identitary Pagan movements are the majority and are represented by Celtic Druidry and Germanic Heathenry, many of whom uphold the idea of a superiority of the white race and of the Indo-Europeans. They are aligned with the Nouvelle Droite political movement, espousing the idea that each ethnically-defined folk has its own natural land and natural religion. The identitary Pagan movement carries within itself a warrior ethic which is concerned with the erosion of French and European culture under growing immigration and Islamisation, so that Jean Haudry, longtime identitary Pagan and professor of linguistics at Lyon III, in a 2001 article entitled Païens ! for the journal of the organisation Terre et Peuple says that "Pagans will be at the forefront of the reconquest (of Europe)". Dominique Venner, who committed suicide in 2013 inside Notre-Dame de Paris in protest against the erosion of French culture, was a Pagan close to the Groupement de recherche et d'études pour la civilisation européenne (GRECE), an identitary Pagan think-tank founded by the Nouvelle Droite ideologist Alain de Benoist. Other politically-engaged Pagans include Pierre Vial, who with other members of the National Front was among the founders of Terre et Peuple. According to the French sociologist Régis Dericquebourg, in 2003 the main small religious minorities were the Jehovah's Witnesses (130,000, though the European Court on Human Rights reckoned the number at 249,918 "regular and occasional" Jehovah's Witnesses), Adventists, Evangelicals, Mormons (31,000 members), Scientologists (4,000), and Soka Gakkai Buddhists. According to the 2005 Association of Religion Data Archives data there were close to 4,400 Bahá'ís in France. According to the 2007 edition of the Quid, other notable religious minorities included the New Apostolic Church (20,000), the Universal White Brotherhood (20,000), Sukyo Mahikari (15,000–20,000), the New Acropolis (10,000), the Universal Alliance (1,000), and the Grail Movement (950). Many groups have around 1,000 members, including Antoinism, Aumism, Christian Science, Invitation to Life, Raelism, and the International Society for Krishna Consciousness, while the Unification Church has around 400 members. In 1995, France created the first French parliamentary commission on cult activities which led to a report registering a number of religious groups considered as socially disruptive and/or dangerous. Some of these groups have been banned, including the Children of God. New Mayapur Temple of the International Society for Krishna Consciousness in Luçay-le-Mâle, Indre. Statue of a Chinese goddess during a procession for the Chinese New Year in Paris. Antoinist temple of Tours, Indre-et-Loire. Mandarom, centre of Aumism near Castellane, Alpes-de-Haute-Provence. Islamic grave at a French cemetery. In Paris and the surrounding Île-de-France region French Muslims tend to be more educated and religious, and the vast majority of them rejects violence and say they are loyal to France. Among Muslims in Paris, in the early 2010s, 77% disagreed when asked whether violence is an acceptable moral response for a noble cause or not; 73% said that they were loyal to France; and 18% believed homosexuality to be acceptable. In 2015 there were 2,500 mosques in France, up from 2,000 in 2011. In 2015, Dalil Boubakeur, rector of the Grand Mosque of Paris, said the number should be doubled to accommodate the large and growing population of French Muslims. Financing to the construction of mosques was a problematic issue for a long time; French authorities were concerned that foreign capital could be used to acquire influence in France and so in the late 1980s it was decided to favour the formation of a "French Islam", though the 1905 law on religions forbids the funding of religious groups by the state. According to Salah Bariki, advisor to the mayor of Marseille in 2001, at a Koranic school in Nièvre only three percent of the books were written in French and everything was financed from abroad. She supported the public participation in financing an Islamic cultural centre in Marseille to encourage Muslims to develop and use French learning materials, in order to thwart foreign indoctrination. Even secular Muslims and actors of civil society were to be represented by the centre. Local authorities have financed the construction of mosques, sometimes without minarets and calling them Islamic "cultural centres" or municipal halls rented to "civil associations". In the case of the plans to build the Mosque of Marseille, due to protests and tribunal decision by the National Rally, the National Republican Movement, and the Mouvement pour la France, the rent of a 8,000 m2 (86,111 sq ft) terrain for the mosque was increased from €300/year to €24,000/year and the renting period was reduced from 99 to 50 years. France came to an uproar in January, 2014, when eight writers and cartoonists were shot dead by two terrorists who raided the French satirical magazine Charlie Hebdo. For years, it had been threatened by Muslims fundamentalists for publishing cartoons criticizing Prophet Muhammad. Condemnation of this attack was unanimous in the West but in Muslim countries, some militants approved, stating was right to kill those who insult the Prophet. Elisabeth Auvillain argues, "This massacre raised significant questions about freedom of expression and respect for religion. Are cartoonists allowed to ridicule God or is religion forbidden ground for the critic?" ^ a b c d e f "A French Islam is possible" (PDF). Institut Montaigne. 2016. p. 13. Archived from the original (PDF) on 15 September 2017. ^ Knox, Noelle (11 August 2005). "Religion takes a back seat in Western Europe". USA Today. ^ "France – church attendance". France – church attendance. Via Integra. Retrieved 23 February 2012. ^ "Eurobarometer on Biotechnology" (PDF). Special Eurobarometer (341). European Commission. October 2010. p. 381. ^ a b "Catholicisme et protestantisme en France – Analyses sociologiques et données de l'Institut CSA pour La Croix" [Catholicism and Protestantism in France – Sociological analysis and data from the CSA Institute for La Croix] (PDF) (in French). CSA. 2010. Archived from the original (PDF) on 6 September 2017. ^ a b c "Le catholicisme en France en 2010" (PDF). IFOP. August 2010. ^ "Sondage CSA: Les Francais et la religion" (PDF). La Croix. 2004. ^ "Éléments d'analyse géographique de l'implantation des religions en France" (PDF). IFOP. December 2006. ^ "Le catholicisme en France" (PDF). CSA. March 2013. ^ a b "Spring 2017 Survey Data | Pew Research Center". Pew Research Center's Global Attitudes Project. Retrieved 2018-10-23. ^ "État des lieux de la laïcité en France" (PDF). Observatoire de la laïcité. January 2019. ^ "Religion en entreprise: des conflits rares mais en légère hausse, selon une enquête" (in French). 2018-09-26. ISSN 0242-6056. Retrieved 2019-04-08. ^ "Sondage "Les protestants en France en 2017" (1) : qui sont les protestants ?". Reforme.net (in French). 2017-10-26. Retrieved 2019-04-12. ^ NW, 1615 L. St; Washington, Suite 800; Inquiries, DC 20036 USA202-419-4300 | Main202-419-4349 | Fax202-419-4372 | Media. "Western Europe Survey Dataset | Pew Research Center". Retrieved 2019-04-07. ^ La-Croix.com (2018-03-23). "Dieu existe, pour la majorité des jeunes Français". La Croix (in French). Retrieved 2018-08-15. ^ Baubérot, Jean (15 March 2001). "The Secular Principle". Embassy of France in the US. Archived from the original on 22 February 2008. ^ Ruth Whelan, and Carol Baxter, eds. Toleration and religious identity: the Edict of Nantes and its implications in France, Britain and Ireland (Four Courts PressLtd, 2003). ^ Spielvogel, Jackson J. (2003). Western Civilization – Volume II: Since 1500 (5th ed.). p. 410. ^ Philippe Joutard, "The Revocation of the Edict of Nantes: End or Renewal of French Protestantism?." in Menna Prestwich, ed., International Calvinism 1541-1715 (1985): 1541-1715. ^ Gemma Betros, "The French Revolution and the Catholic Church" History Review (Dec 2010), Issue 68 pp 16-21. ^ R.R. Palmer,. Twelve Who Ruled: The Year of the Terror in the French Revolution (1941) pp 220-22. ^ Sanja Perovic, "The French Republican Calendar: Time, History and the Revolutionary Event." Journal for Eighteenth‐Century Studies 35.1 (2012): 1-16. ^ Gemma Betros, "The French Revolution and the Catholic Church." History Review 68 (2010): 16-21. ^ Nigel Aston, Religion and revolution in France, 1780-1804 (Catholic University of America Press, 2000) pp 279-335. ^ Roger L. Williams, Gaslight and Shadow the World of Napoleon III 1851 1870 (1957), pp 70-96, 194-95. ^ Theodore Zeldin, France, 1848-1945: volume II: Intellect, Taste and Anxiety (1977) pp 986-1015. ^ Tallett, Frank; Atkin, Nicholas (1991). Religion, society, and politics in France since 1789. London: Hambledon Press. p. 152. ISBN 1-85285-057-4. ^ Porch, Douglas (2003). The March to the Marne: The French Army 1871–1914. Cambridge: Cambridge University Press. pp. 92–104. ISBN 0-521-54592-7. , is the most thorough account in English. ^ Maurice Larkin, Church and state after the Dreyfus affair: The separation issue in France (1974). ^ Yvonne Yazbeck Haddad and Michael J. Balz, "The October Riots in France: A Failed Immigration Policy or the Empire Strikes Back?" International Migration (2006) 44#2 pp 23–34. ^ "Special Report: Riots in France". BBC News. 9 November 2005. Retrieved 17 November 2007. ^ Laurent Mucchielli, "Autumn 2005: A review of the most important riot in the history of French contemporary society." Journal of Ethnic and Migration Studies (2009) 35#5 pp. 731–751. ^ a b Gira, Dennis (2011–2012). "The "Inculturation" of Buddhism in France". Études. 415. S.E.R. pp. 641–652. ISSN 0014-1941. ^ What place for Buddhism in secular France? (Video). AFPTV. 12 September 2016. See the section with a speech by Marion Dapsance. ^ Anning, Caroline (22 June 2012). "Europe's largest Buddhist temple to open". BBC News. ^ a b c "Sondage « Les protestants en France en 2017 » (1): qui sont les protestants?" [Survey "Protestants in France in 2017" (1): Who are the Protestants?]. Reforme.net (in French). 26 October 2017. ^ a b "France". Resources on Faith, Ethics and Public Life. Berkley Center for Religion, Peace, and World Affairs. Archived from the original on 10 May 2013. See drop-down essay on "Religion and Politics until the French Revolution"
^ Cécile Chambraud (12 January 2017). "Une enquête inédite dresse le portrait des catholiques de France, loin des clichés" [An unprecedented survey portrays Catholics in France, far from clichés] (in French). Le Monde. Retrieved 15 September 2017. The researchers are Yann Raison du Cleuziou, senior lecturer in political science at the University of Bordeaux, and Philippe Cibois, professor emeritus of sociology. Their research was unpublished as of the time of the article. ^ Fourquet, Jérôme (July 2012). "Enquête auprès des protestants" [Inquiry about the Protestants] (PDF) (in French). Institut français d'opinion publique. ^ Jérôme Fourquet; Hervé Le Bras (2014). "La religion dévoilée" (PDF). Jean Jaurès Fondation. Archived from the original (PDF) on 11 April 2017. ^ "Assemblée des évêques orthodoxes de France". ^ "French Coptic Orthodox Church". ^ a b "Fédération Chrétienne des Témoins de Jéhovah de France v. France". Reports of Judgments and Decisions 2001. XI. European Court of Human Rights. ^ "France: How Many Jehovah's Witnesses Are There?". JW.ORG. ^ "France". Holocaust Encyclopedia. United States Holocaust Memorial Museum. ^ "Le Bilan de la Shoah en France (Le régime de Vichy)" [The Report of the Holocaust in France (The Vichy regime)]. BS Encyclopédie. ^ Croes, Marnix (2006). "The Holocaust in the Netherlands and the Rate of Jewish Survival" (PDF). Holocaust and Genocide Studies. Oxford University Press. pp. 474–499. doi:10.1093/hgs/dcl022. ^ "France : Un portrait de la population juive". Religioscope. ^ a b c Ducré, Léa (26 March 2014). "Les deux visages du néopaganisme français" [The two faces of French Neopaganism] (in French). Le Monde des Religions. ^ "Most Bahá'í Nations (2005)". The Association of Religion Data Archives. 2005. ^ "Les sectes en France: Nombre d'adeptes ou sympathisants" [Sects in France: Number of followers or sympathisers]. Quid (in French). Archived from the original on 6 August 2009. ^ Dericquebourg, Régis (9–12 April 2003). De la MILS à la MIVILUDES: la politique envers les sectes en France après la chute du governement socialiste [From MILS to MIVILUDES: Politics towards sects in France after the fall of the socialist government]. CENSUR International Conference (in French). Vilnius (Lithuanie): CESNUR. ^ a b Tajuddin, Razia. "Islam in Paris". Euro-Islam: News and Analysis on Islam in Europe and North America. Archived from the original on 4 November 2011. ^ Cole, Juan (1 July 2015). "Sharpening Contradictions: Why al-Qaeda attacked Satirists in Paris". Informed Comment. ^ Porter, Tim (16 June 2015). "French Muslim leader Dalil Boubaker calls for empty Catholic churches to be turned into mosques". International Business Time. ^ a b Maussen, M. J. M. (2009). "Constructing mosques: The governance of Islam in France and the Netherlands". UvA-DARE (Digital Academic Repository), University of Amsterdam. pp. 155, 186, 172. Edelstein, D. (2009). The Terror of Natural Right: Republicanism, the Cult of Nature, and the French Revolution. Chicago: University of Chicago Press. Gibson, Ralph. (1989) A social history of French Catholicism, 1789-1914 Routledge, 1989. Hunt, L. (1984). Politics, culture, and class in the French Revolution. Berkeley: University of California Press. Israel, J. (2014). Revolutionary Ideas: An Intellectual History of the French Revolution from The Rights of Man to Robespierre. Princeton University Press. Latourette, Kenneth Scott. (1969) Christianity in a Revolutionary Age: Volume I: The Nineteenth Century in Europe: Background and the Roman Catholic Phase online passim on Catholics in France. Latourette, Kenneth Scott. (1959) Christianity in a Revolutionary Age: Vol II: The Nineteenth Century in Europe: The Protestant and Eastern Churches; pp 224–34 on Protestants in France. Latourette, Kenneth Scott. (1959) Christianity in a Revolutionary Age: Vol IV: The Twentieth Century in Europe: The Roman Catholic, Protestant, and Eastern Churches pp 128–53 on Catholics in France; pp 375–79 on Protestants. Misner, Paul. (1992) "Social catholicism in nineteenth-century Europe: A review of recent historiography." Catholic Historical Review 78.4 (1992): 581-600. Willaime, Jean-Paul. (2004) "The cultural turn in the sociology of religion in France." Sociology of Religion 65.4 (2004): 373-389. Zeldin, Theodore. (1977) France, 1848-1945: Intellect, taste, and anxiety. Vol. 2. (Oxford UP) pp 983–1039. Laïcité, literally "secularity", is a French concept of secularism. It discourages religious involvement in government affairs, especially religious influence in the determination of state policies; it also forbids government involvement in religious affairs, and especially prohibits government influence in the determination of religion. The Catholic Church in France is part of the worldwide Catholic Church in communion with the Pope in Rome. Established in the 2nd century in unbroken communion with the bishop of Rome, it is sometimes called the "eldest daughter of the church". Argentina, for much of its history and including the present day, has been an overwhelmingly Christian country. The largest Christian denomination in the country is Roman Catholicism. The historical background is very much due to the Spanish influence brought about through the newly conquered territories. However, immigration throughout the 20th century has brought other Catholics and denominations from various regions to Argentina. Overall, a 2008 survey found that 24% attended religious services regularly, and that 10.3% described themselves as atheist, agnostics, or having no religion. Only 35% of Argentines consider religion to be very important in their lives according to a 2015 Pew Research Center report. Argentina is also home to the largest Muslim community in Latin America, numbering at around 400,000 people or 1% of the total population. Religion in Belgium is diversified, with Christianity, in particular the Catholic Church, representing the largest community, though it has experienced a significant decline since the 1980s. However, according to Eurobarometer poll 2015 number of Christians increased by 8% from 52.5% in 2009 to 60.7% in 6 years, with Roman Catholicism being the largest denomination at 52.9%. Protestants comprised 2.1% and Orthodox Christians comprised 1.6%. Non religious people comprised 32.0% of the population and were divided between those who primarily identified as atheists (14.9%) or as agnostics (17.1%). A further 5.2% of the population was Muslim and 2.1% were believers in other religions. Belgium's policy separates the state from the churches, and freedom of religion of the citizens is guaranteed by the country's constitution. Christianity is the largest religion in Germany, comprising an estimated 57% of the country's population in 2017. The second largest religion in Germany is Islam, with around 4 million adherents, almost all of them have full or partial foreign background. Smaller religious groups include Buddhism (0.2%), Judaism (0.1%), Hinduism (0.1%) and others (0.4%). About 36–37% of the country's population are not affiliated with any church or religion. Religion in Russia is diverse with Christianity, especially Orthodoxy, being the most widely professed faith, but with significant minorities of Irreligious people, Muslims and Pagans. A 1997 law on religion recognises the right to freedom of conscience and creed to all the citizenry, the spiritual contribution of Orthodox Christianity to the history of Russia, and respect to "Christianity, Islam, Buddhism, Judaism and other religions and creeds which constitute an inseparable part of the historical heritage of Russia's peoples", including ethnic religions or Paganism, either preserved or revived. According to the law, any religious organisation may be recognised as "traditional" if it was already in existence before 1982, and each newly founded religious group has to provide its credentials and re-register yearly for fifteen years, and, in the meantime until eventual recognition, stay without rights. Religion in Bulgaria has been dominated by Christianity since its adoption as the state religion in 865. The dominant form of the religion is Eastern Orthodox Christianity within the fold of the Bulgarian Orthodox Church. During the Ottoman rule of the Balkans, Sunni Islam spread in the territories of Bulgaria, and it remains a significant minority today. The Catholic Church has roots in the country since the Middle Ages, and Protestantism arrived in the 19th century. Romania is a secular state, and it has no state religion. Romania is one of the most religious countries in the European Union and a majority of the country's citizens are Christian. The Romanian state officially recognizes 18 religions and denominations. 81.04% of the country's stable population identified as part of the Eastern Orthodox Church in the 2011 census. Other Christian denominations include the Catholic Church, Calvinism (2.99%), and Pentecostal denominations (1.80%). This amounts to approximately 92% of the population identifying as Christian. Romania also has a small but historically significant Muslim minority, concentrated in Northern Dobruja, who are mostly of Crimean Tatar and Turkish ethnicity and number around 44,000 people. According to the 2011 census data, there are also approximately 3,500 Jews, around 21,000 atheists and about 19,000 people not identifying with any religion. The 2011 census numbers are based on a stable population of 20,121,641 people and exclude a portion of about 6% due to unavailable data. Christianity is the main religion in Belarus, with Eastern Orthodoxy being the largest denomination. The legacy of the state atheism of the Soviet era is evident in the fact that a large part of the Belarusians are not religious. Moreover, other non-traditional and new religions have sprung up in the country after the end of the Soviet Union. According to the most recent data published in 2011 by the Ministry of the Interior, 48.3% of the Belarusians are Orthodox Christians, 41.1% are irreligious, 7.1% are Catholics, and 3.5% are members of other religions.